For KCS v6 documentation and resources, click here. For KCS v6 certification programs for people, click here. For KCS v6 Verified and Aligned programs for tools and services, click here. How many organizations are doing KCS? Who owns the KCS methodology? How do I get started on implementation? Why does the Consortium make the KCS documentation available for free? The KCS v6 Practices Guide and other documentation is licensed under a Creative Commons Attribution-NonCommercial 4.0 International License. What does that mean? What does “appropriate credit to the Consortium for Service Innovation” look like? Are there training and certification programs available for KCS? Can I do a presentation at an industry conference, where people pay to attend but I am not being paid to present? How do I get permission to use the KCS v6 intellectual property for commercial (revenue generating) offerings? I see other organizations are offering KCS certifications. Are those certifications recognized by the Consortium? I thought the Consortium and HDI collaborated on KCS? KCS is a methodology that was developed by, and is maintained by, the members of the Consortium for Service Innovation. The conversation started in 1992, and the methodology has since evolved into a rich set of principles, practices and techniques, based on the collective thinking and collective experience of the members. We don’t have a count on how many organizations are doing KCS, but based on the profound benefits it creates for knowledge workers, customers, and the organizations that follow the KCS Practices, it has emerged as an industry best practice. The Consortium for Service Innovation owns the methodology and owns the registered service mark “KCS®”. Because the Consortium is a non-profit industry association, the members of the Consortium – who collectively created the methodology – own the methodology. The Consortium facilitates the development and protects the integrity of the methodology. 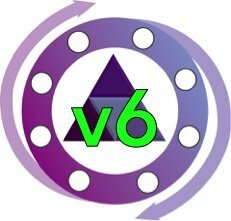 The KCS v6 Principles and Core Concepts document, available in the Consortium Library, is a great place to start. You’ll also find the KCS v6 Adoption Guide there, as well as 20-plus years of KCS experience captured in the in-depth KCS v6 Practices Guide. All of this documentation is free and available to the public. When you are ready to take your next step, please visit the KCS Academy to find official KCS Certified Trainers and a schedule of their workshops, available KCS certification programs designed by the people who built the methodology, and KCS Verified and Aligned tools and services.  The Consortium is a non-profit association that has been very generous with its intellectual property; most everything the Consortium produces is under the Creative Commons Attribution-NonCommercial 4.0 International License. The Consortium members are happy to share their work and learnings with the industry. Commercial use (revenue-generating offerings) based on the intellectual property owned by the Consortium, or use of the KCS service mark, must be done under a separate commercial use agreement, which includes a review of the offering’s adherence to the methodology. Any commercial offerings using the Consortium’s KCS intellectual property without a review for compliance to the methodology and an agreement for commercial use are unauthorized. Any such training or certification programs are in violation of the Creative Commons license and are not recognized by the Consortium. The Creative Commons is a non-profit organization that provides standardized and widely accepted license agreements for sharing knowledge and creative works. Under this particular license, you are free to share the KCS v6 Practices Guide for non-commercial use as long as you give appropriate credit (see below) to the Consortium for Service Innovation, provide a link to the license, and indicate if changes were made. You many not use the material for commercial (revenue-generating) purposes without explicit written permission from the Consortium for Service Innovation. Please contact the Consortium with questions. KCS cannot be used in the name of a commercial offering without explicit written permission from the Consortium for Service Innovation. Please contact the Consortium with questions. Yes. The KCS Academy administers KCS certification programs including the KCS Certified Trainer program. KCS Certified Trainers are authorized to provide commercial offerings including training and adoption services. KCS Certified Trainers go through a rigorous process to demonstrate they have a thorough understanding of the KCS methodology and best practices for adoption. They also have access to training materials that are continuously updated by the Consortium. KCS Certified Trainers pay a royalty for commercial use of the Consortium’s IP which helps support the ongoing work of the Consortium. The list of official KCS Certified Trainers can be found here. If you are considering KCS training for you or your team, choosing a trainer certified by the KCS Academy ensures you are making the most of your investment. Can I do a presentation about KCS at an industry conference, where people pay to attend but I am not being paid to present? How do I get permission to use the KCS v6 intellectual property for commercial (revenue-generating) offerings? The KCS Academy offers a number of programs that enable the commercial use of the Consortium’s intellectual property and the registered service mark KCS. See the KCS Academy web site for information about the KCS Certified Trainer, KCS Verified and KCS Aligned programs. For commercial use not covered under these programs, please contact the Consortium. The KCS Academy is the only organization authorized by the Consortium for Service Innovation to issue KCS certifications, which are earned by passing a certification exam. These official certification exams may be facilitated in conjunction with training by KCS Certified Trainers, who are authorized for such activities. Any other organization or group claiming to offer KCS certification is not authorized by the Consortium for Service Innovation and is in violation of the KCS v6 Creative Commons Attribution-NonCommercial 4.0 International License agreement. In the past, HDI has participated in programs authorizing their use of KCS. Unfortunately, HDI’s current commercial activities with KCS v6 have not been reviewed by the Consortium and are not licensed pursuant to the Creative Commons Attribution-NonCommercial 4.0 International License, and HDI is not otherwise licensed to promote KCS v6 or use the KCS marks in connection with its offerings. While the Consortium has numerous individuals and organizations who are authorized for commercial use of the KCS methodology through the programs offered by the KCS Academy, HDI chooses not to participate. HDI is the only organization, that we know of, that is using KCS v6 for commercial purposes without the Consortium’s review, and does not pay the Consortium royalties to support the ongoing work. We have attempted to negotiate a reasonable royalty arrangement with HDI, including offering to have royalty terms set by an independent, expert assessment of the market value of the KCS IP—an offer HDI has declined. Despite our objections, HDI continues to offer programs using the Consortium’s IP without authorization, thereby potentially devaluing the Consortium’s IP. We are continuing to address this matter, but the Consortium does not currently recognize or endorse any KCS training or certification offered by HDI.